The Cobra Breakers NOW MEET tough U.S. EPA1 Emission Regulations! Freedom of Movement, Zero Setup Time! With no compressors, hoses or cables to set up, gas breakers are ideal for smaller jobs. They are indispensable for tasks that involve moving along a line, from position to position or for working in remote, inaccessible locations. These breakers have been a standard piece of equipment used by emergency teams for many years. 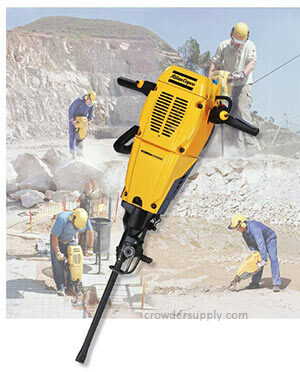 The Cobra Combi is not only a self-contained breaker, it’s a powerful drill as well. It can sink holes to the depth of 6.5 feet, and drill up to 12 inches per minute in solid granite. With a range of 18 different tools, you can use the Cobra Combi for everything from cutting and breaking, to drilling, driving and compacting. 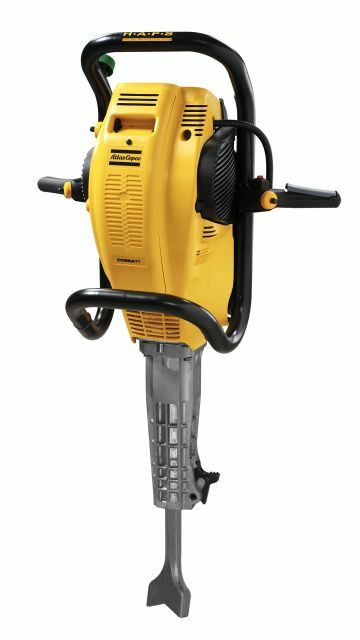 So whether you need to simply break a small patch of concrete, or split a rock, you can get the job finished with a gas-powered machine in the same amount of time it takes just to set up a compressor and hoses. It is not only the design that is new on the Cobra Combi. Firstly, the noise level is lowered from 114 to 110 dB thanks to a new muffler and it is thereby fulfilling the European Noise Emission Directive (NED). Secondly, new vibration dampened handles reduces vibration levels from 8 to 5 m/s². With a new carburetor and a catalytic converter, the emissions are cleaner and meet the tough US emission regulations, EPA1. Further, with a new choke control, new carburetor and user-friendly start instructions, Cobra Combi is easy to use. The new gas control gives the operator better control of the speed and enhances precision when operating. 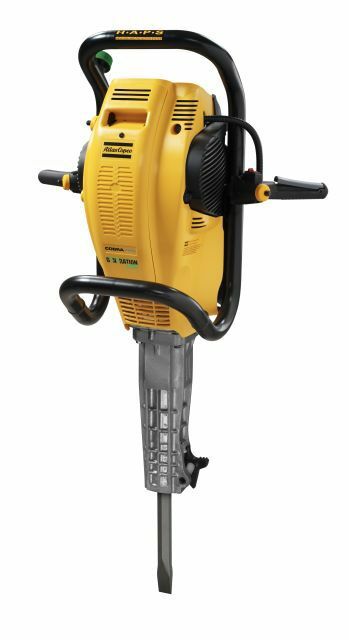 The Cobra Pro breaker is the heavy hitter in the range clocking up to an incredible 44 ft/lb at the tool tip, it delivers almost twice the impact engergy of other petro-driven breakers on the market. The Cobra Pro breaker helps you get the job done faster. This is due to a combination of high percussive energy and high blow frequency. Put them together, and you'll see why the Cobra Pro breaker is such a productive machine. 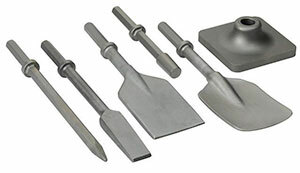 Shank Size (in) 1 1⁄8" X 6" Shank Size (in) 1 1⁄4" X 6"
The Cobra TT is specifically designed for tie tamping. 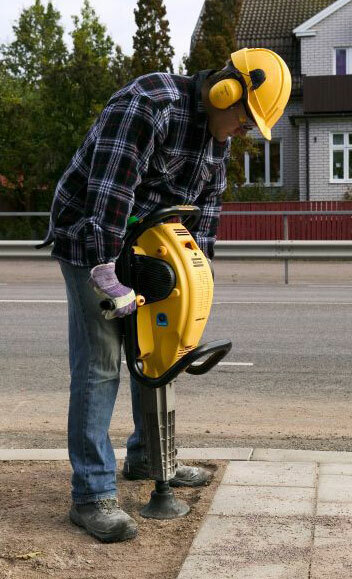 Its portability and flexibility eliminate traffic disruptions caused from local ballast compaction. For maximum comfort, the Atlas Copco Hand and Arm Protection System (HAPS) achieves a very low vibration level. 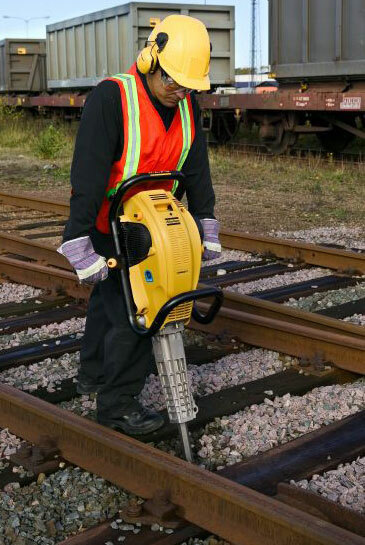 For optimal tie tamping and other maintenance jobs, the Cobra TT is right on track.